Vacation Lease or Buy in time for Summer Fun at 889 Seafaring Crescent!! 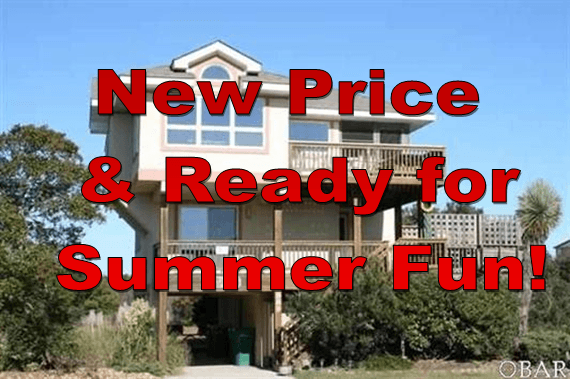 New Price AND Available to Lease for Summer Fun! Actual ocean views, nice deck space, screened porch, sunny and bright interior, top floor bedroom, easy flow floor plan, awesome community amenities, hot tub, bright open kitchen, ground floor entrance, cul de sac location, laminate wood floors and a fantastic price round out the benefits of the “Sunflower” beach cottage. Contact me today for available dates or more information!